Cuddle up with someone from your family and visit 15 of Australia’s native animals and their families. Find out what they eat and how they play, where they live and who looks after them. Which family is most like yours? 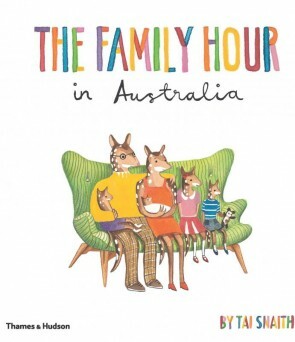 The Family Hour introduces young children to 15 fascinating Australian animals and their families. It presents unique facts about each animal in a fun and imaginative way. Features: Gouldian finches, Numbats, Kangaroos, Platypus’, Echidnas, Black swans, Frill-necked lizards, Koalas, Weedy seadragons, Eastern spotted quoll, Sugar gliders, Ringtail possums, Tasmanian devils, Corroboree frogs and Hairy-nosed wombats.